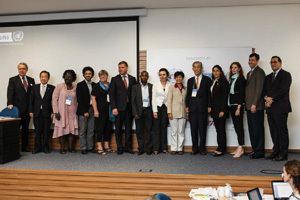 Armine Podosyan has been competitively elected as a member of the Executive Committee of the World Federation of United Nations Associations (WFUNA) at the 40th WFUNA Plenary Assembly held on November 10, 2012 in Rio de Janeiro, Brazil. WFUNA (http://www.wfuna.org/) is a global nonprofit organization representing and coordinating a membership of over 100 national United Nations Associations and their thousands of constituents. WFUNA works to strengthen and improve the United Nations through the engagement of people who share a global mindset and support international cooperation – global citizens. 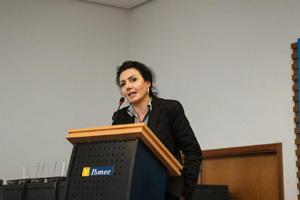 Armine Podosyan is a 2011 graduate of the American University of Armenia’s Master of Public Health (MPH) Program. She has been the President of the Armenian United Nations Association (AUNA) since 2008. AUNA is a member of the WFUNA and works in such important areas as youth and education, prevention of human trafficking, rights of refugees and migrant workers.